New accusations have been made about the 2006 Men’s Cup Winners’ Cup Final game. Vienna, 15.03.2009 – After a first accusation of referee corruption concerning the 2007 Champions League Final, new accusations have been made about the 2006 Men’s Cup Winners’ Cup Final game between Chehovskie Medvedi (RUS) and CBM Valladolid (ESP) played on 29.04.2006. The European Handball Federation, at this point, wants to make it clear that it intends to take up these two cases with extreme seriousness. Pending investigation, it nevertheless intends to take appropriate precautions to preserve the right of all the accused to be considered innocent until proved guilty. The EHF wants these cases to be fully investigated in the interest of handball and in its own interest. Legal investigations are currently underway in Germany concerning the 2007 Champions League Final in Kiel and the EHF is already fully cooperating with the German legal authorities. At the same time, while avoiding any encroachment on the prerogatives of these legal authorities, the EHF is conducting a technical analysis of the game in question by an external expert. The EHF will publish the result of this analysis immediately upon receipt. The same attitude will be adopted concerning the 2006 Men’s Cup Winners’ Cup Final between Chehovskie Medvedi and CBM Valladolid. The EHF will regularly inform the public on the status of these cases. While insisting on the presumption of innocence to which everyone is entitled, the EHF finds it necessary to adopt specific measures to protect its own image and that of the persons and institutions named in both cases. It has therefore decided that the referees named will be released from their duties until new information makes it possible to involve them again. Finally, it will require referees and institutions to fully cooperate in the inquests conducted both internally and on a legal level. 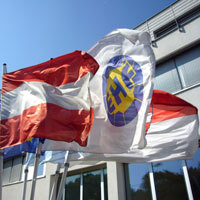 The EHF leadership will also make proposals to the Executive Committee meeting in Vienna at the end of March so as to combat corruption in the future regardless of the outcome of the two pending cases. - to guarantee articulation with legal authorities on suspected cases. It will define a set of preventive measures for the future in articulation with the various technical committees representing the stakeholders.